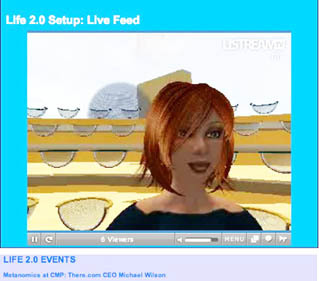 Life 2.0 Summit Spring ’08 will kick off with the Open Source, IPPI (IP and Privacy/Identity) in Virtual Worlds On Sunday, March 16, at 1 PM PST, with special guest Eben Moglen (his avatar pictured above). The event will be held in the CMP Amphitheater at CMP 1, 2, 3, 4 ( SLURL ). To attend the Second Life events or watch video you must register for Life 2.0 here. Eben Moglen, is Director, Chair and Chief Counsel of the Software Freedom Law Center. Moglen, professor of law and legal history at Columbia, is a pioneer of the opensource movement, former general counsel for the Free Software Foundation, and one of the architects of version 3 of the GNU GPL. 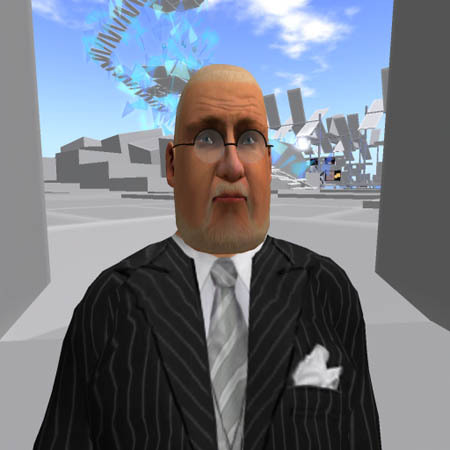 Eben Moglen’s co-panelists on Sunday will include Zero Linden, a.k.a Mark Lentczner, Linden Lab. Zero is one of main the architects of Second Life’s evolving infrastructure. Zero recently published the first draft of Second Life Grid Open Grid Protocol a.k.a. SLGOGP a important step forward on the path to opening up the Second Life grid (see Tateru Nino’s post on Massively, Tao Takashi’s post at mrtopf.de, and mindblizzard). The brilliant and very elegant Zha Ewry (a.k.a David Levine, IBM Research) will be joining the panel from JFK airport while he waits for his flight to San Francisco. David Levine and Eben Moglen had an interesting conversation back in December that you can find on Ugotrade here. They explore some of the problems of defining digital public space and issues of privacy on the internet, offering many suggestions on how to implement online privacy enhancing technologies and insights as to how we could design the next generation of these technologies in responsible ways. 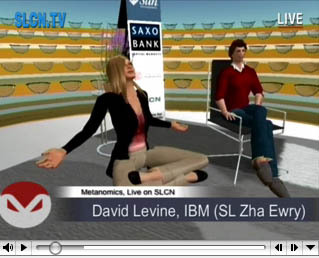 Also Zha was a interviewed recently on Metanomics with Beyers Sellers (a.k.a Robert Bloomfield). This interview is highly recommended as some of the key issues facing Second Life’s Architecture Working Group (AWG) and a future Open Grid “that will ultimately allow the cohesive operation of both Linden-operated and non-Linden-operated Second-Life style simulators and grids.” (see Massively for more) are unpacked. Also, OpenSim and Linux guru Sean Dague (IBM) will be a panelist. Sean Dague has been a member of IBM’s Linux Technology Center since it’s inception in 2001. He has worked on numerous Open Source technologies over the years including: Cluster Management (SystemImage and OSCAR projects), Hardware Control (OpenHPI), Virtualization (Xen), and now Virtual Worlds with OpenSim. 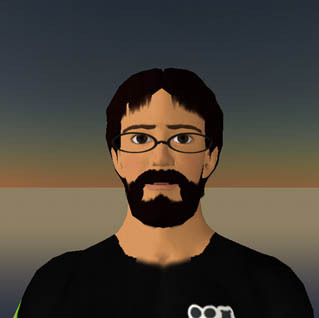 Sean has been an active member of the OpenSim project since July 2007. 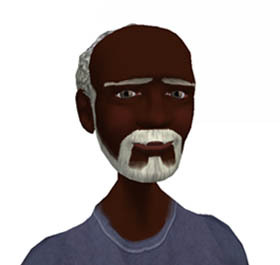 Sean’s avatar (picture below) is Neas Bade. Tara5 Oh (below – that’s me!) will moderate with CMP’s John Jainschigg (John Zhaoying).